What is a betting agent? The betting agent is a company, specialized in providing a high quality service in the field of sports betting. 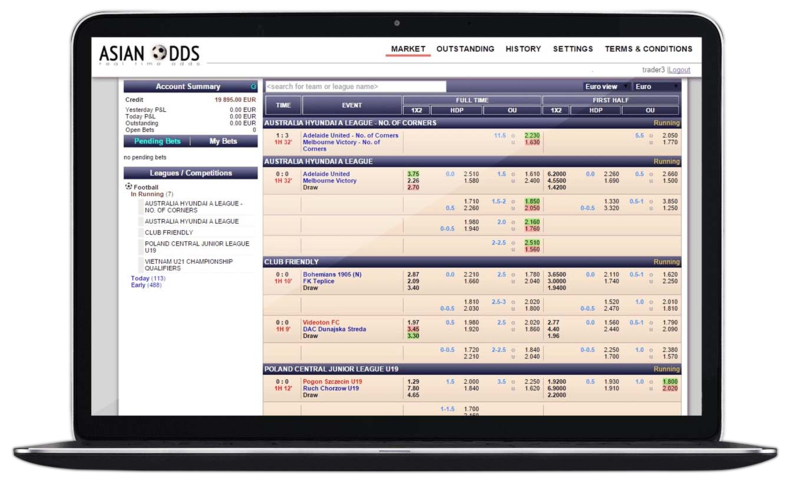 The agent helps his clients get the best of the bookmakers’/exchange platforms’ services. The agent must have a license, acquired the same way bookmakers do. Can you trust the agent? The betting agent does not perform any gambling operations and does not take any risks. That makes him an extremely trustworthy partner and his clients should not have any worries about the resources they entrust him. In addition, the agent works with a small number of world’s leading bookmakers and exchanges after gaining their trust and covering their high security requirements. How much do the agent’s services cost? The agent’s services are free of charge for his clients. For his work, the agent receives from the bookmakers a small percentage of the turnover of the clients he presents. When and why is it good to use the services of an agent? When the bookmaker you chose does not offer his services in your country. Your agent, if he works with this bookmaker, will open an account for you and you will be able to use it no matter your geo location. If in your country the online betting is restricted administratively. The agent will provide you with accounts and access in total confidentiality and you will be in complete anonymity. Your real identity will be visible only to your agent. There are bookmakers/exchanges that do not offer opening an account directly. The access is only through an agent. If you are looking for higher limits, higher odds or lower commission rates, the agent can help you. Through your agent you can have an access to a great range of bookmakers/exchanges and you can freely transfer your funds between them – with no fees and within minutes. Which agent should you choose? Based on the response of many users we recommend AsianConnect88. Asianconnect88 have been on the market for more than 10 years and have strengthen their position as a leading and preferred agent for both professional players and those who are just entering the world of betting. What are the main advantages of Asianconnect88? They can open an account for you with leading bookmakers and exchanges: Sbobet, Maxbet (IBCBET), Pinnacle, GA288, Sharpstar, Matchbook, Betisn, Singbet, 9Wickets. You can use their platform ‘AsianOdds’ that gathers in one place soccer odds from great number of Asian bookmakers. For each event you see all available odds and limits of all bookmakers offered and you can bet on the best for you. There is Skype (or phone) betting 24/7. This service is totally free of charge and available to all customers with a minimum bet of 150 Euros/GBP. The personnel is extremely friendly and available 24/7. The website is clear with intuitively understandable interface so that you can request what you need, e.g. accounts and transactions. During the registration choose at least one product (bookmaker/exchange) that you are planning to use. You can always add more. Choose your account’s currency and payment method. You have available: Bank Transfer, Bitcoin, Ecopayz, Neteller, Skrill. Contact AsianConnect88 via live chat, e-mail or Skype in order to receive their payment details for the chosen payment method. After that all your transactions will be served within few minutes, 24/7. Proceed a payment transaction through one of the e-wallets to the account specified by AsianConnect88. Log in AsianConnect88’s website and select “Transactions” from the left column. Then “Deposit” and specify the amount you have already transferred and to which product you want it to be directed (you can distribute the amount to more than one product). Within few minutes, the personnel of AsianConnect88 will find your deposit and credit your accounts with the specified bookmakers. All deposits are free of fee charging. Again from the menu “Transactions” but you select “Transfer” (Product Wallet). Then you choose from which one of your accounts you want to take, what amount and to which other bookmaker the amount should be transferred. These transfers are proceeded in minutes and no fees are charged. Select “Withdrawal” from the menu “Transactions”. Specify the amount you want to withdraw and from which one of your products you want to withdraw it. The sum will be transferred to the account you have deposited from. You can choose different amounts from more than one products. The aggregated sum will be sent to you through one transaction only. For the e-wallets AsianConnect88 proceeds the withdrawal requests within a few minutes. You have one free of charge withdrawal a month. For every one after that, you will be charged 1% fee. Before you request your first withdrawal from AsianConnect88, you will have to verify your account. It is a standard procedure, as also with many bookmakers. Following the instructions of the friendly support team, you will be asked to send a scanned copy of your ID and one utility bill (or another document verifying your physical address). You will then receive a verification code to the phone number you gave when signing up. After you send the received code to the e-mail of AsianConnect88, the procedure will be completed. Note: Your identity is only visible to AsianConnect88. None of the bookmakers/exchanges would have access to your personal data.